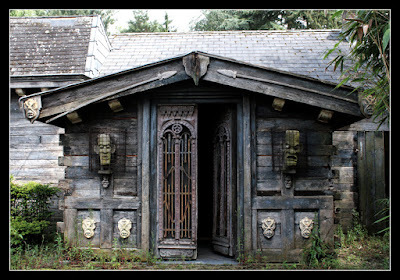 The Hellfire Club in the Manchester England (above). This place has a reputation for great food, tons of fun, and feeling included in the atmosphere and play. The House of 1000 Spirits in Belgium (above) was decorated with a creepy satanic theme. Sadly, it is closed and now abandoned, leaving it perhaps the most spooky abandoned restaurant ever! More cities are getting in on people's desire to indulge in scary places. Atlantic City is going to have a horror-themed restaurant. I have always dreamed of having a brewery in an old abandoned building or a haunted B and B with a very dark and stormy afternoon feel with warm brandy, ghost stories, seances, and such. I'm thrilled to see that themed restaurants are thriving. The one simple way we can shake up our lives is to have someone else feed us, serve us drinks and do it in a place that does not look like the world we spend our time in 99% of our days. If a restaurant has a theme to it, I find myself choosing it any time over the drab hotel restaurant looking places. 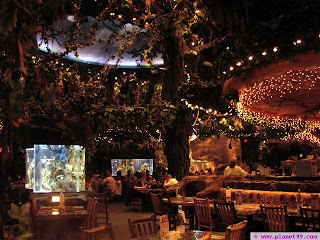 For those who don't have progressive-thinking towns, you might have a Rainforest Cafe nearby and that is a pretty fun experience too, especially for the kids! Dans Le Noir - London. How would you like to eat in complete darkness with bite-sized bits of yumminess? This restaurant is a great idea. They had one in NYC, but it closed due to lack of business. I guess New Yorkers wanna see what they eat. 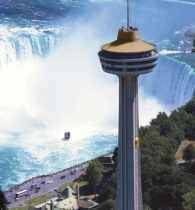 Skylon Tower - Niagara Falls, Canada. Do you dare eat in a revolving restaurant way up high on a tower above Niagara Falls? Well, this is your chance if you do! Poogan's Porch - Charleston, SC. 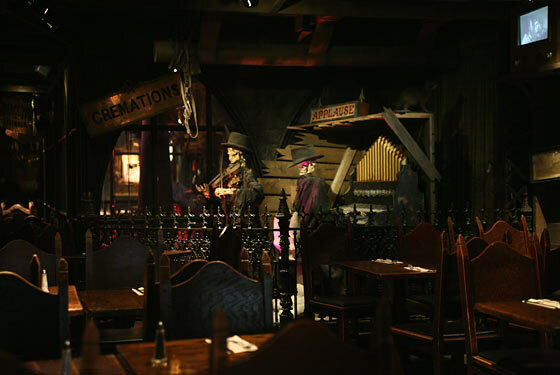 This restaurant is pretty cool because it has not only amazing southern food, but lots of ghosts! Order crab, alligator, oysters, and lots of biscuits and other southern specialties. In Lloret de Mar, Spain, there is the "Disaster Cafe" which is probably the most peculiar one yet - it has 7.8 earthquake simulation. 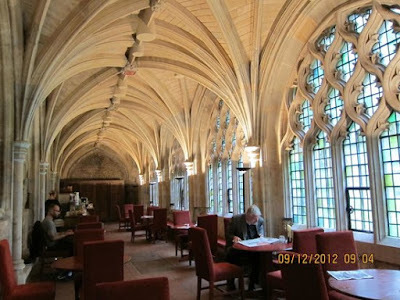 The Cloister Cafe in NYC has amazing food and even a Hookah Bar. In the winter, you can have hot mulled wine. Flowers, an eclectic menu - you can't go wrong for romantic atmosphere and mood. Death and Company is a speakeasy-themed restaurant in the Lower East Side in NYC. 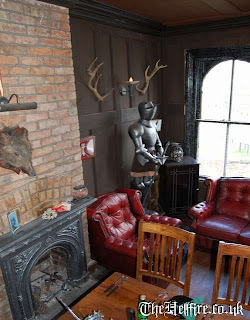 It offers amazing drinks, a dark and classy atmosphere, and yummy foods like truffle mac, Welsh Rarebit, meats and cheeses galore. Edgar's Cafe is a dream for any Edgar Allen Poe fan. 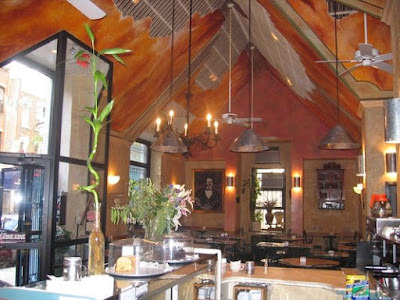 It is in the Upper West Side of Manhattan in an historic building associated with beloved Poe. The menu includes fresh ingredients, lots of pasta, and more salads than can be described in under a half hour. What a place! La Caverna in NYC is top of my list because I love the super cavernous, dark, gothic feel. It is just like dining in a very classy cave. They have wonderful classic grill/cafe foods. 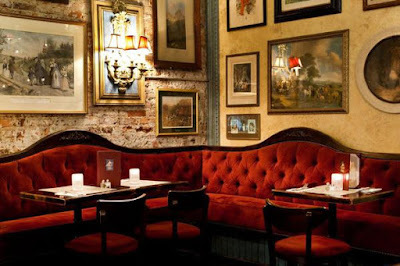 Lillie's Victorian Establishment is found in Times Square and also in Union Square. The food is casual and a great assortment of sliders and calamari and more. Obviously, New York City leads the way in this arena of moody dining, but it is my sincere hope more cities figure out people want lots of atmosphere and chills and thrills with their meals. 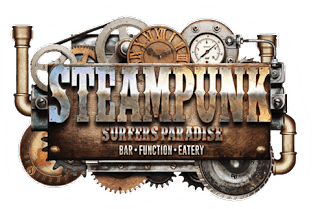 Steampunk Surfers Paradise on Australia's Gold Coast. Our vision for Steampunk Surfers Paradise is to make your drinking and dining experience sensory on every level. Choose your level of engagement by joining us for a relaxing Sunday Sangria or attending one of our live local concerts on a Friday or Saturday night. Been to few theme style restaurants before and found to have a good time.